The Delicious Last Course DLC will arrive day-and-date as the Xbox One and PC versions. Switch version's resolution is 1080p docked, 60 FPS docked and handheld, same as Xbox One. No wireless local play for two Switch units, but two players can play on one Switch. In the optimization process for the Switch, Studio MDHR shaved almost 7GB from the game's size and cut load times in half. 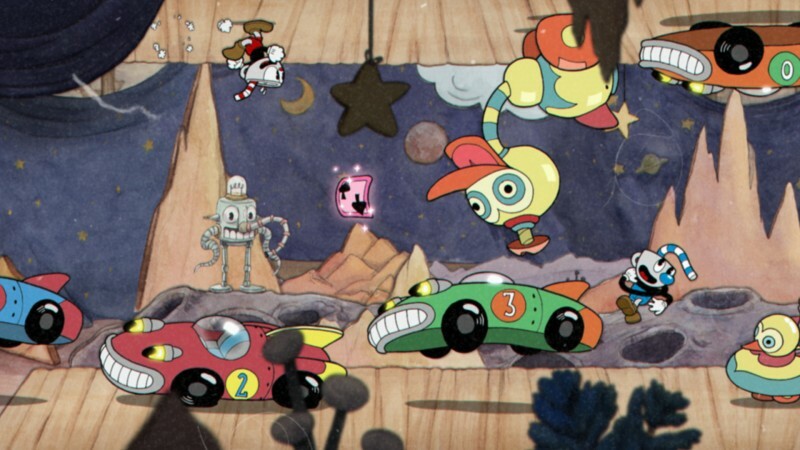 Released in 2017, Cuphead is a charming, yet brutally difficult side-scrolling run-and-gunner with a strong emphasis on boss battles and a beautiful hand-drawn art style. Originally exclusive to Xbox One and PC, Cuphead came to Mac last year, but few expected the title to make the leap to other consoles. Now, the Studio MDHR-developed gem is making the leap to Switch. Cuphead costs $20 on Switch and launches on April 18. In addition, every version will receive a "major," free content update on that same day. For our review of Cuphead, head here.